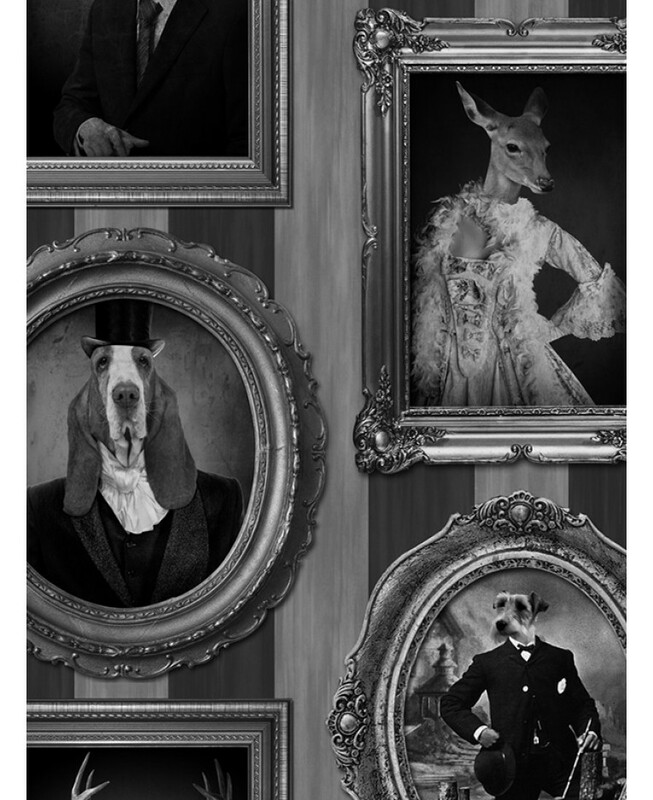 This fun and quirky Dogs in Frames wallpaper would make a unique feature in your home. 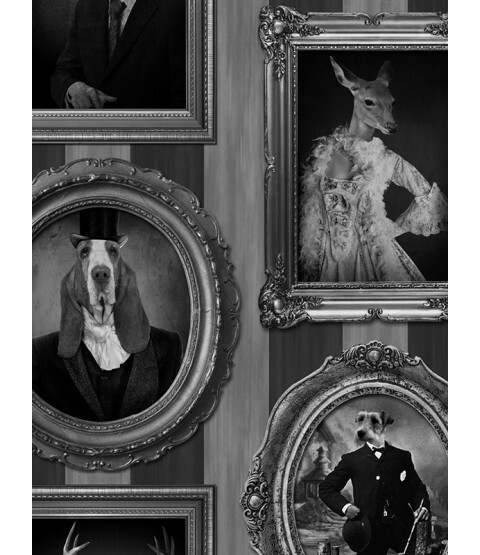 The design shows a variety of dapper dogs and deers dressed in a Victorian style surrounded by ornate frames on a black and grey striped background. It is printed on to high quality paper to ensure durability and a quality finish. 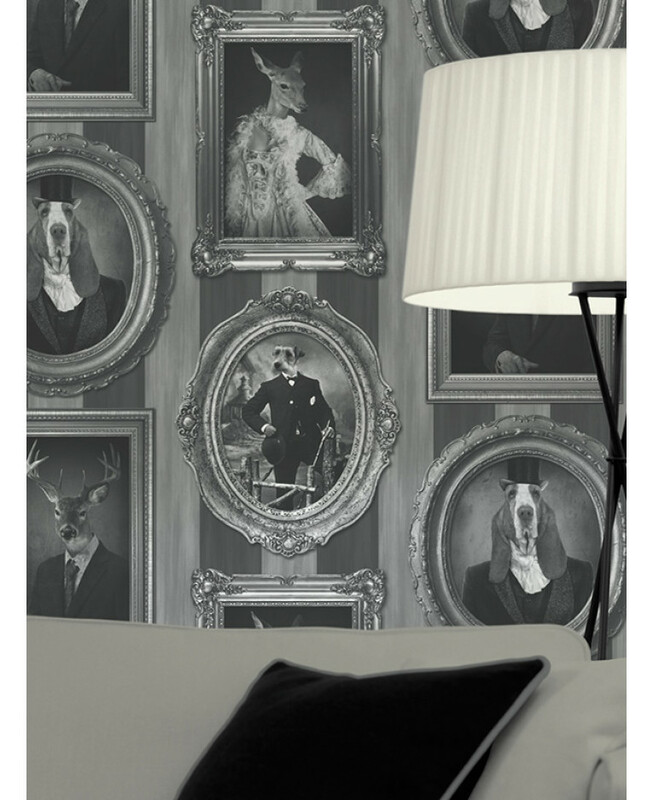 Easy to apply, this wallpaper will look great when used to decorate a whole room or to create a feature wall.